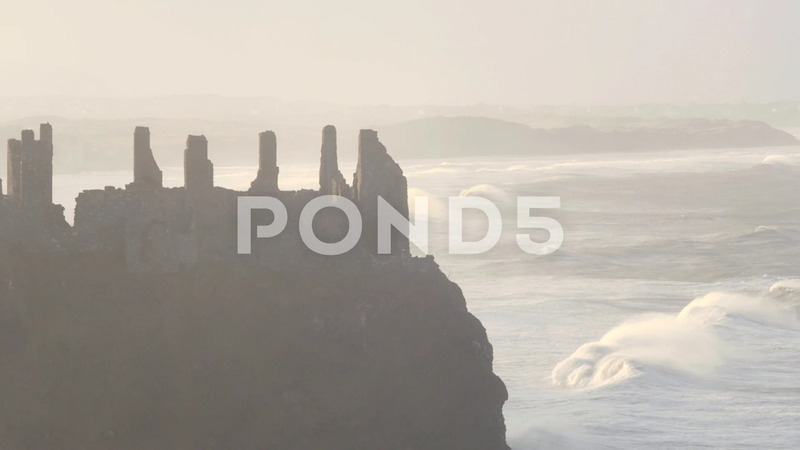 Description: Crumbling castle walls in evening light with stormy sea below. Foaming winter waves roll past clifftop castle. Tilt-up to lockdown shot.